It’s easier to take precautionary measures now than to have to reactively respond after a security incident. Whether your business is located in a retail store, office park, medical office, warehouse or other type of commercial building, as a security systems installer in Chicago, we understand that keeping your business safe is a top priority. Without a strong security system, the cash, merchandise, equipment and other items at your business are at risk of theft and vandalism every day. An even greater reason to have a strong security system is to create a safe work environment for your employees. By taking the right measures, you and your team can have ease of mind and focus on what’s important – the actual operations of your business. Hard copies of keys are easily lost or stolen, which can result in break-ins. Having a keyless entry system, like an Axis door controller, enables secure and efficient access into and throughout your premises. You’ll be able to rest assured that the appropriate people are the only ones able enter access points at your business. 2. Install door stations for enhanced security. Going a step beyond keyless entries, Axis door stations combine a door controller with built-in cameras, push-button calling and two-way audio communication. When someone knocks on your door, you can remotely see and communicate with whoever is asking to come in. 3. Place surveillance cameras in the right locations. Not only do surveillance cameras deter crime, but high-quality video surveillance products from Axis also provide first responders with much needed evidence in the event of a burglary. However, a surveillance camera that isn’t noticeable to a thief or doesn’t capture the right angle can be just as bad as not having one at all. Make sure your surveillance cameras cover high-traffic areas, entryways and exits, and check that they don’t have obvious blind spots. 4. Check cameras for obstructions. Surveillance cameras are useless if they’re not capturing clear, unhindered views. While your surveillance cameras may be mounted in the right locations, make sure there’s nothing blocking them, including shrubbery, trees, walls, bird nests and ultra-bright light sources. 5. Make sure there is visibility at night. Many thieves and vandals use the darkness of night to their advantage. If possible, avoid placing cameras in areas with poor lighting. There are video surveillance solutions available that include thermal imaging which allows you to identify scenes and activities even in pitch-darkness. 6. Evaluate the camera type that will meet your needs. There isn’t a “one size fits all” solution when it comes to effective surveillance systems. A variety of cameras and features are available on the market to help you capture quality surveillance. This includes cameras with differing image quality, black and white or color options, lighting levels, viewing choices, recording and storage options, motion activation, outdoor durability and livestreaming capabilities. 7. Check for proper installation. A poorly-installed system can mean decreased speed, increased interference, poor network performance and Wi-Fi dead zones. At its worst, bad cabling installation can even mean fire hazards. Quality installation of your security cameras is just as important as buying a quality camera. Make sure that your installer knows about cabling protection since cables out in the open are prone to weather damage and vandalism. Surveillance cameras should be installed near the ceiling or side of the building to provide easy places to hide the cables. 8. Ensure you have capacity to monitor feeds. A surveillance system is not going to help you if you aren’t notified about any malicious activity it’s capturing. Modern technology allows you to livestream security camera feeds to a mobile device. Check to see if your security cameras have this capability. Some systems, like Axis video surveillance, allow you to set up notification preferences across a range of situations and receive notifications in real-time as needed. 9. Learn how to properly use and manage your system. Do you find yourself frustrated by complexity when trying to manage your surveillance? To get the most out of your security system, make sure you have the right resources and proper training on how to use and manage it. 10. Don’t leave it up to guesswork. Your focus should be growing a successful business, not constantly worrying about possible security threats. 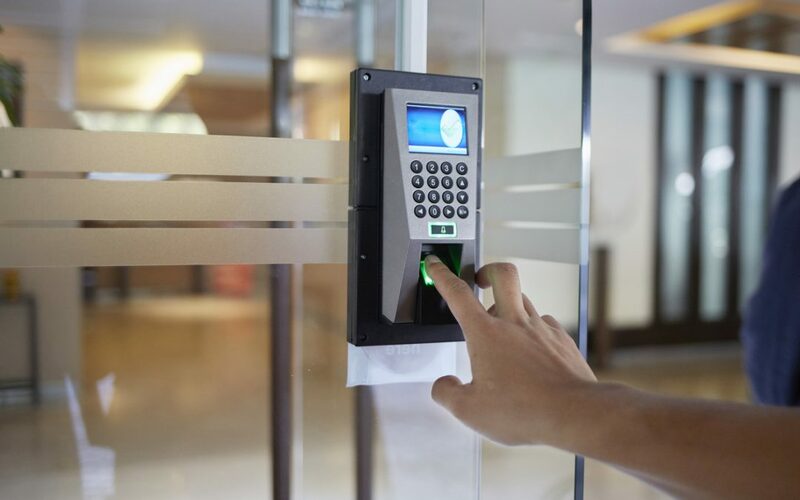 If you’re concerned your current security system isn’t protecting your business as it should, consider consulting a professional who knows the ins and outs of creating an effective security system. Put the time and investment in now to prevent a potentially bad situation down the road. Whether you’re a national brand or a small business, everyone deserves to feel secure. Medlin Communications is an expert as a security systems installer in Chicago, and we believe in doing things the right way the first time. When it comes to security systems, we won’t settle for a solution you don’t trust. Contact us today to discuss how we can help with your security needs.